1. 又吉光邦・喜屋武盛基，“Perceptron 型ニューラルネットワークにおける効果的な教師信号について”, 電子情報通信学会春期全国大会講演論文集,分冊６ 情報・ｼｽﾃﾑ,March, 1990. 2. 又吉光邦・喜屋武盛基，“Ｂ.Ｐ. 法を用いたパターン認識における動的教師信号法の有効性”, 電子情報通信学会技術研究報告 ＡＩ,Vol.90, July, 1990. 3. 又吉光邦・喜屋武盛基，“Ｂ．Ｐ．法を用いたニューラルネットワークにおける類似パターンの学習高速化”, 琉球大学工学部紀要第 40 号, September, 1990. 4. 又吉光邦・喜屋武盛基，“バックプロバケーションの学習率改良による学習の高速化”, 琉球大学工学部紀要第 41 号, March, 1991. 5. 亀山 克・又吉光邦，“ＧＡによる分割問題の解法と解の多様性の検証”, 電気関係学会九州支部連合大会論文集, September, 1995. 6. 儀部 毅・又吉光邦，“遺伝的アルゴリズムによるマルチナップザック問題の一解法”, 電気関係学会九州支部連合大会論文集, September, 1995. 8. 又吉光邦，“遺伝的アルゴリズムによる川渡し問題の解法” , 情報処理学会全国大会論文集,September, 1995. 11. 金城 亮・又吉光邦，“パーソナリティ特性の評定－パーソナリティ認知の心理測定的研究－”,名桜大学紀要論文, July, 1996. 13. 中山 哲・又吉光邦，“ｎ人ゲームにおけるナッシュ解の遺伝的アルゴリズムによる一解法”,経営情報学会秋季全国研究発表大会論文集, November, 1996. 20. 又吉光邦，“Tree-染色体構造を持った GA でのブール関数同定”,人工知能学会全国大会論文集, June,1999. 22. 又吉光邦，“Tree-染色体構造を持った GA での関数同定”, 電子情報通信学会論文誌. D-I, 情報・システム, I-情報処理 J82-D-I(11), 1327-1335, 1999-11-25. 23. 又吉光邦，"Tree Chromosome Structure in a Genetic Algorithm to Identify Functions", Systems and Computers in Japan, John Wiley & Sons, Inc., May, 2000. 24. 又吉光邦，“エゴグラムに見るＯ大学Ｓ学部の学生像”,沖縄国際大学商経論集 28 巻第２号, March,2000. 25. 又吉光邦，“エゴグラムにみるＯ大学Ｓ学部の学生像－2000 年度－”,沖縄国際大学商経学部論集 29巻第１号, August, 2000. 27. 又吉光邦，“Boolean Function identification in GA with Tree-chromosome structure”,沖縄国際大学産業総合研究所, February, 2002. 29. 又吉光邦，“身体部位への人物割り当てについて～相関分析および因子分析を中心に”,沖縄国際大学商経学部論集創立 30 周年記念論集, October, 2002. 30. 又吉光邦,名嘉村盛和, “遺伝限定と深さ優先探索によるQAPの一解法”,第55回電気関連学会九州支部連合大会, p.575, 2002. 31. 又吉光邦，“2-opt 法局所探索法の改良”,沖縄国際大学産業総合研究所第 11 号, March, 2003. 32. 又吉光邦・名嘉村盛和，“2-opt 法局所探索法の改良”, 電子情報通信学会総合大会講演論文集 2003年_情報・システム(1), D-8-11,p.105, 2003-03-03. 33. 又吉光邦, “局所探索法による Tree-染色体構造を持った GA での関数同定の高速化”,第 56 回電気関連学会九州支部連合大会, 12-1A-04, 2003. 34. Mitsukuni Matayoshi, Morikazu Nakamura, Hayao Miyagi, “A genetic algorithm with the improved 2-opt method”, IEEE International Conference on System, Man & Cybernetics(SMC2004), Vol.1, pp.3652-3658, 2004. 35. 又吉光邦,名嘉村盛和,宮城隼夫, “改良 2-opt 法を組み込んだ遺伝的アルゴリズムによる QAPの解探索”,電気学会論文誌Ｃ(IEEJ, Trans. EIS), Vol.124, No.9, pp.1896-1906, 2004. 36. 又吉光邦, “遺伝的アルゴリズムのための２次計画問題の地形情報抽出法”,情報処理学会火の国情報シンポジウム 2004, B-9-3, pp.1-9, 2004. 37. 比屋根ひかり・又吉光邦，“改良 2-opt 法を組み込んだ GA による TSP の解探索”,電子情報通信学会総合大会,D-8-21,p.108,2004-03-08. 39. 又吉光邦, “Tree-染色体構造を持った GA での関数同定用の局所探索手法による同定高速化”,人工知能学会第 18 回全国大会(JSAI2004) , 1H3-01, pp.87-89，2004. 41. 又吉光邦，“局所探索的手法を用いた Tree-染色体構造をもった GA での関数同定の高速化 (Tree Chromosome Structure in a Genetic Algorithm to Identify Functions with Local Search for Speed-up)”，商経論集 32(2), pp.77-88, 2004-03. 42. 又吉光邦・名嘉村盛和・宮城隼夫，“改良 2-opt 法を組み込んだ遺伝的アルゴリズムによる QAP の解探索”,電気学会論文誌 C(IEEJ, Trans. EIS), Vol.124, No.9, PP.1896-1906, 2004. 43. 又吉光邦・名嘉村盛和・宮城隼夫，“Tree-染色体構造を持った GA での関数同定用の局所探索(Local Search Methods for Tree Chromosome Structure in a GA to Identify Functions)”, 情報処理学会火の国情報シンポジウム，B-5-3, 2005. 44. 又吉光邦, “二本の染色体による TSP の解表現と進化計算による効果検証”,第 58 回電気関係学会九州支部連合大会, p.527, 2005. 45. 又吉光邦・名嘉村盛和・宮城隼夫，“改良 2-opt 法における探索領域拡張戦略と動的プライオリティ設定法”,電気学会論文誌(IEEJ, Trans. EIS), Vol. 125-C, no. 2, pp.368-378, 2005. 46. 又吉光邦,“進化計算法による組合せ最適化問題の解法に関する研究 (A Study on Methods for Combinatorial Optimization Problems in Evolutionary Computation) ” , 博 士 （ 工 学 ） 論文,pp.1-108,2005. 47. 又吉光邦・名嘉村盛和・宮城隼夫，“Tree-染色体構造を持った GA での関数同定用の局所探索手法”,電気学会論文誌 C(IEEJ, Trans. EIS), Vol.126, No.1, pp.123-131,2006. 48. Mitsukuni Matayoshi, Morikazu Nakamura, Hayao Miyagi：“Extraction of Landscape Information based on a Quality Control Approach and Its Applications to Mutation in GA”, Genetic and Evolutionary Computation Conference (GECCO-2006),Vol.2,pp.1419-1420,2006. 49. 又吉光邦, “２重染色体を用いた遺伝的アルゴリズムでの TSP の解法”,情報処理学会第 68 回全国大会, pp.2_47-2_48,7B-5, 2006. 50. 當眞嗣貢・又吉光邦,”形質獲得箇所を考慮した突然変異手法の効果検証”，情報処理学会第 68 回全国大会，1L-2, 2006. 51. 當山直正・又吉光邦,”形質獲得箇所からの遺伝距離を考慮した TSP における突然変異手法の効果検証”，情報処理学会第 68 回全国大会，1L-3, 2006. 52. 又吉光邦, “管理限界手法による地形情報抽出とＧＡの突然変異法への応用”,第 59 回電気関係学会九州支部連合大会, 11-1A-11, p.107, 2006. 53. 當眞嗣貢・又吉光邦,”形質獲得箇所を考慮した改良突然変異手法の効果検証”，産業情報論集第 3 巻第 1 号, pp.85-96, 2006.9. 54. 當山直正・又吉光邦,”形質獲得箇所からの遺伝距離を考慮した TSP における突然変異手法の効果検証”，産業情報論集第 3 巻第 1 号, pp.97-106, 2006.9. 55. 又吉光邦, “古琉球紅型の型紙のサイズ特徴と判別法”,第 60 回電気関係学会九州支部連合大会,10-1P-06, p.220, 2007. 56. 又吉光邦・佐久本邦華, “紅型型紙の幾何学的考察－琉球紅型型紙のデザイン手法－”,沖縄国際大学産業総合研究第 15 号, pp.1-31, 2007. 58. 又吉光邦, “沖縄県の伝統的衣類産業の一考察－宮古上布・久米島紬・琉球絣と石垣織物－”,沖縄国際大学産業総合研究地域産業研究 No.7【地域経済の発展と産業の情報化に関する研究（第 2 報）】,pp.93-103, 2007.3. 59. 又吉光邦，“沖縄の伝統的染織と古代中国の染織との比較研究・調査－組織図を中心に－”，地域経済の発展と産業の情報化に関する研究（第 3 報），地域産業研究 No.8，沖縄国際大学産業総合研究所，pp.1-17，2008.1. 60. 又吉光邦, “古琉球紅型型紙の外寸と名称および館蔵（大黒屋型）との比較(Outer sizes and valid denominations of old paper crafts of bingata, and comparison with daikokuya-gata of KANKURA’s collections)”,産業情報論集第 4 巻第 2 号, pp.1-12, 2008.3. 61. 又吉光邦, “古琉球紅型の内寸による分類および他地域の型紙との比較(Classification by inner sizes of old paper crafts of bingata, and comparison with paper crafts collections in other regions)”,産業情報論集第 4 巻第 2 号, pp.13-24, 2008.3. 62. 又吉光邦, “古琉球紅型型紙と唐尺－型紙の大きさと文様配置への願い－(The relations old paper crafts of bingata and karajyaku –wish to the arrangement of patterns and the size of paper crafts-)”,産業情報論集第 4 巻第 2 号, pp.25-42, 2008.3. 63. 又吉光邦, “唐尺についての一考察 -沖縄唐尺と琉球唐尺-(A consideration of karajyaku –Okinawa karajyaku and Ryukyu karajaku-)”,産業情報論集第 4 巻第 2 号, pp.43-56, 2008.3. 64. 又吉光邦, “久米島に伝わる唐尺について(A consideration of KARAJYAKU in kumejima)”,久米島自然文化センター紀要第 8 号, pp.7-16, 2008.3. 65. 玉城泰裕・又吉光邦, “逆位を用いた局所探索法による TSP の解探索”,第 61 回電気関連学会九州支部連合大会, 09-1A-07, 2008. 66. 諸見里一道・又吉光邦, “区間限定の逆位を用いた局所探索法による TSP の解探索”,第 61 回電気関連学会九州支部連合大会, 09-1A-08, 2008. 67. 又吉光邦, “琉球王府辞令書の時系列による解釈と古琉球紅型(形附)型紙との関連”,産業情報論集第５巻第１号, pp.1-24, 2008.9. 68. 又吉光邦, “『沖縄の三線』に記録された沖縄三線の統計的特長(The statistical peculiarity of Okinawa Sanshin documented in Okinawa no Sanshin)”,産業情報論集第６巻第１号, pp.33-45,2009.9. 69. 又吉光邦, “『沖縄の三線』にある三線のソー(棹)の長さの研究(Investigation into the length of the“pole” of Okinawa Sanshin documented in Okinawa no Sanshin)”,産業情報論集第６巻第１号,pp.47-62, 2009.9. 70. 又吉光邦, “金沢美術工芸大学収蔵の古紅型型紙のサイズに関する研究(Investigation of the size ofold bingata paper stencil patterns held in the Kanazawa College of Art)”,産業情報論集第６巻第１号, pp.17-32, 2009.9. 71. 又吉光邦・具志堅園子，“久米島のオモロ/クェーナの音譜化とディジタル復元(Making to standard western music sheet and digital restoration of omoro/queena of Kumejima)” ,産業情報論集第６巻第１号, pp.63-84, 2009.9. 72. 又吉光邦，“沖縄県立芸術大学収蔵の古琉球紅型型紙（全紙）の文様に関する一研究 (A investigation of chiseled ornaments in full-sized old Ryukyuan bingata paper stencil patterns held in Okinawa Prefectural University of Arts)”, 産業情報論集第 6 巻第 2 号, pp.35-60, 2010.3. 73. 又吉光邦, “ストリップパッキング問題の新しい配置法と EA による検証”, 情報処理学会（火の国情報シンポジウム 2010）, A-6-3, March15-16, 2010. 74. 又吉光邦, “矩形配置法の提案と遺伝的アルゴリズムによる検証 (A new 2D strip packing method and verification by GA),” The 24th Annual Conference of the Japanese Society for Artificial Intelligence, 2D3-3, June 9-11, 2010. 75. Mitsukuni Matayoshi, "Corner Junction: A New Strategy for 2D Strip Packing," Proceedings of the 12th annual conference comp on Genetic and evolutionary computation 2010, 2010, pp. 2099-2100, Portland Oregon, U.S.A, July 7-11, 2010.76. Mitsukuni Matayoshi, “The 2D strip packing problem: a new approach with verification by EA,” Proceedings of the 2010 IEEE International Conference on Systems, Man, and Cybernetic, pp.2492 - 2499，Istanbul, Turkey, October 10-13, 2010. 77. Mitsukuni Matayoshi, “Double Chromosome GA with Corner Junction for Solving the 2D Strip Packing Problem,” The 36th Annual Conference of the IEEE Industrial Electronics Society, pp.1110 – 1116，Glendale, Arizona, U.S.A November 7-10, 2010. 78. 又吉光邦，島真一，喜屋武盛基，名嘉村盛和，“数ふるい疑似ランダムビット列生成器による改良型暗号化システムの開発(A Improved Encryption System using Pseudo-random Bit Stream Generator by Number Sieve Circuit), ” 2011 年電子情報通信学会総合大会（基礎・境界講演論文集）, A-7-1, p.148, Tokyo, Japan, March 14-17, 2011. 79. 喜屋武盛基，名嘉村盛和，又吉光邦，島真一，“疑似ランダムビット列生成器暗号化システムの研究開発，”マルチメディア教育研究センター紀要第 11 号，pp.11-16, March 31, 2011. 80. Mitsukuni Matayoshi, “A New Packing Method for Two Dimensional Rectilinear Polygons using Genetic Algorithm,” GECCO '11 Proceedings of the 13th annual conference companion on Genetic and evolutionary computation, pp.125-126, Ireland, July 12-16, 2011. 81. Mitsukuni Matayoshi, “Two Dimensional Rectilinear Polygon Packing using Genetic Algorithm with a Hierarchical Chromosome”, Proceedings of the 2011 IEEE International Conference on Systems, Man, and Cybernetic, pp. 989–996, Anchorage, U.S.A October 9-12, 2011. 84. 又吉光邦，“八重山上布の顕微鏡撮影による考察～南嶋民俗資料館の古布～ (A study of Yaeyama-Jyofu with Microscopic photos - The old waves of Nanto Minzoku Shiryou Kan -)，”産業情報論集第 8 巻 1・2 合併号，2012.3. 85. 又吉光邦，“心的反応速度計測ソフトウェアの制作 (Implemantation of Measurement Software ofr Emotional Reaction Rate)，”産業情報論集第 9 巻 1・2 合併号，pp. 13-20, 2013.3. 86. 又吉光邦，“南嶋民俗資料館の古布の調査研究 (A study of old weave of Nanto Minzoku Shiryou Kan)，”産業情報論集第 9 巻 1・2 合併号，pp. 21-49, 2013.3. 87. 喜屋武盛基，又吉光邦，名嘉村盛和，島真一，“疑似ランダムビット列生成器暗号化システムの研究開発”，沖縄大学マルチメディア教育研究センター紀要 Vol. 12 号.
Computation, pp. 1-8, Brisbane, Australia June 10-15, 2012. 90. 又吉光邦，“宮良殿内にある魯般尺と三線尺（The study of differences between Rohan-Jyaku and Sanshin-Jyaku in Miyara-Dunchi），”産業情報論集第 10 巻 1 号，2013.9. 91. 又吉光邦，“八重山地方の古謡のデジタル化 ～石垣島・西表島の調査～（Digitalization for old folk songs of Yaeyama district -Ishigaki Island and Iriomote Island are mainly surveyed -），”産業情報論集第 10 巻 1 号，2013.9. 92. 又吉光邦，“八重山地方の古謡の継承についての一考察（Consideration of the succession of old folk songs of Yaeyama area），”産業情報論集第 10 巻 1 号，2013.9. concerning living thing -），”産業情報論集第 10 巻 1 号，2013.9. 94. 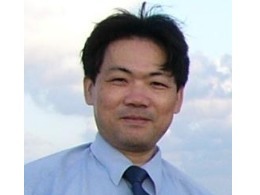 Mitsukuni Matayoshi,“Shape Extraction Method Using Search for Convex Hull by Genetic Algorithm,” Proceedings of the 2011 IEEE International Conference on Systems, Man, and Cybernetic, pp. 1677-1683, Manchester, England October 13-16, 2013. 96. Mitsukuni Matayoshi, “Shapes Extraction Method by Genetic Algorithm with Local Search Method，” Proceedings of IEEE Second International Conference on Artificial Intelligence Modelling and Simulation, pp. 81-86, Madrid, Spain, November 18-20, 2014. 98. 又吉光邦，“南嶋民俗資料館の古布裂（紺地）の研究 (A study of old weave (Kon-ji) of Nanto Minzoku Shiryou Kan)，”産業情報論集第 13 巻 1・2 合併号，pp. 1-46, 2017.3.